Rhythm is one of the key parts of a melody. Music uses short rhythmic ideas or motifs that reoccur throughout the song and are also developed by changing them slightly for interest. 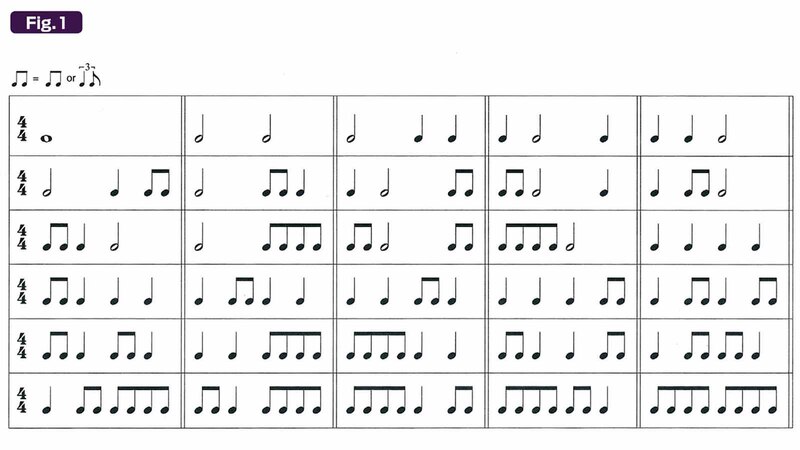 A “rhythmic motif” is a short and often repetitive rhythm figure onto which any chords or melody notes may be grafted. Rhythmic motifs provide the building blocks for all musical ideas regardless of what instrument or musical style you play. 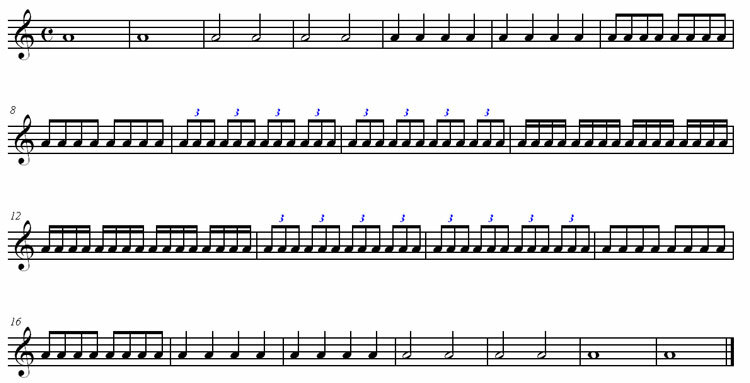 Below the following rhythm combinations show how you can create a variation of an original rhythm simply by playing them in a slightly different order. You can even play a rhythm forward and backward. 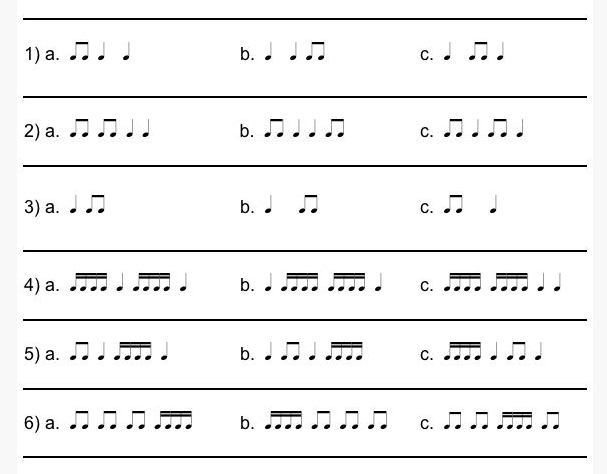 Challenge: Can you pick out pairs of rhythms below where one is forward and the other is the rhythm played backwards? Rhythms can also be developed by making them more complex or by simplifying them rather that repeating them exactly the same way. Your might change groups of two 1/8th notes into triplets which use groups of 3 notes. You may also take a group of 1/16th notes and simplify them into two 1/8th notes. You may even change the time signature. A 8 or 16 measure melodic phrase often has a poetic rhythmic pulse that has a pause half way through and then a conclusion at the end. 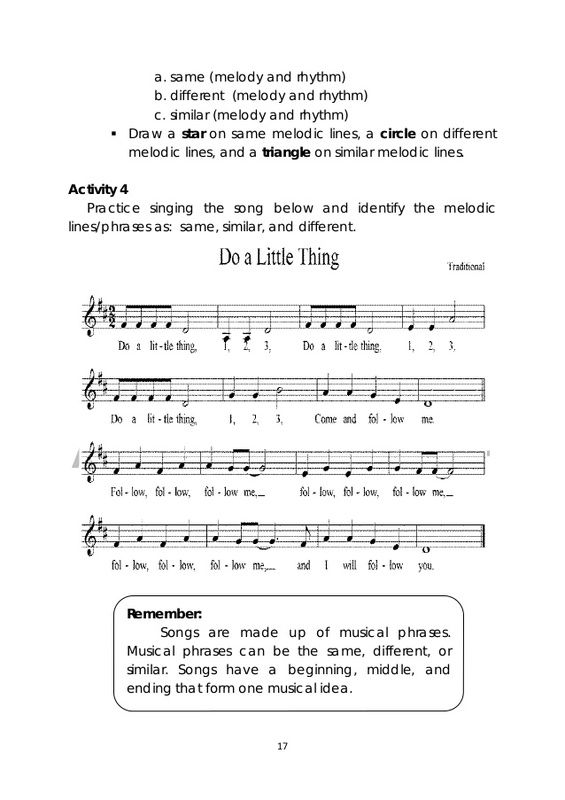 Below is a 16 measure melody. Notice the use of repeating rhythms and that there is one rhythmic flow for the first 8 measures and then a different rhythmic theme for the second 8 measures as a kind of answer to the first 8 measures.